Of Tripura's two Lok Sabha seats, Tripura West goes to polls in the first phase on April 11 and Tripura East in the second phase on April 18. 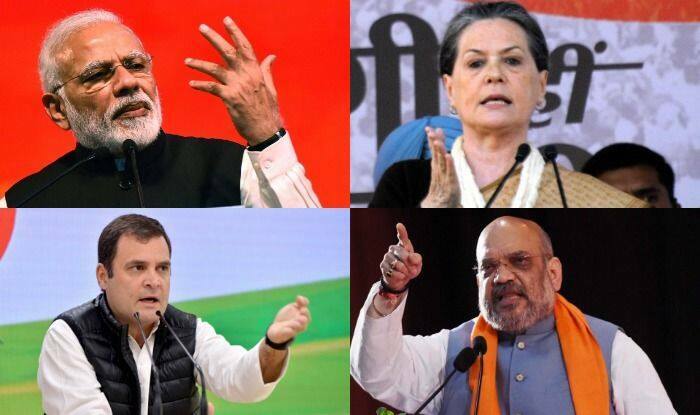 Prime Minister Narendra Modi, BJP President Amit Shah, Congress President Rahul Gandhi and UPA Chairperson Sonia Gandhi among leaders who will campaign in Tripura next week, party sources said on Tuesday. Bharatiya Janata Party spokesman Nabendu Chattacharjee said Modi, who addressed a public gathering in Agartala on February 9 and launched several projects, would address an election rally on April 6 in southern Tripura’s Gomati district. Shah and BJP General Secretary Ram Madhav would also campaign although Shah’s final schedule is yet to be confirmed. Rahul Gandhi, who addressed an election rally in western Tripura’s Khumulwng on March 20, would address several public meetings in Tripura. Tripura Congress Vice President Tapas Dey said Sonia Gandhi, Rajasthan Deputy Chief Minister Sachin Pilot and Congress leaders Jyotiraditya Scindia and Priyanka Gandhi are likely to address a host of election rallies. Communist Party of India-Marxist sources said that former Chief Minister Manik Sarkar would be the key campaigner for the Left parties in Tripura. Sarkar might also go to West Bengal, Kerala and some south Indian states for the campaign. Tripura Chief Minister Biplab Kumar Deb would campaign for the BJP in West Bengal, Assam, Odisha, Kerala and a few other states. Of Tripura’s two Lok Sabha seats, Tripura West goes to polls in the first phase on April 11 and Tripura East in the second phase on April 18. Votes will be counted on May 23. In all, 18 candidates are contesting the Tripura West seat and 10 in the Tripura East constituency, reserved for the tribals.